Can some bright, young, old or middle-aged people make a list of the successful movies he has made? Some powerful dialogues he has come up with? An actor he has successfully launched? If this proves too daunting a challenge, can someone make a list of tweets — from the inane to the dangerous — he has come up with on subjects he seems to know nothing about? Only today, on August 29, Agnihotri made a 'request' on Twitter. He wants to crowdsource a list of “those who are defending Urban Naxals”, and then “see where it leads”. I want some bright young people to make a list of all those who are defending #UrbanNaxals Let’s see where it leads. If you want to volunteer with commitment, pl DM me. @squintneon would you like to take the lead? The context for the tweet is the arrest of five activists from various parts of the country on August 28, in connection with the Bhima Koregaon violence in January this year. Agnihotri’s tweet provoked the predictable shock and outrage, and soon, many people stated “nominating themselves” to the list, with #metoourbannaxal becoming a widely trending hashtag. 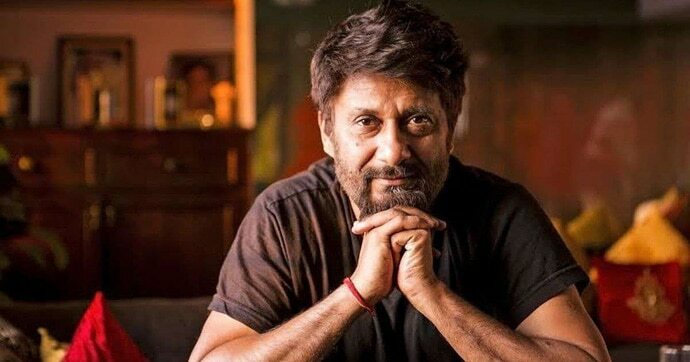 In a few hours, the fervour turned farcical, with Agnihotri randomly “rejecting” some people’s volunteering for Naxal-hood, saying they were “not worthy” of it, and the discussion quickly descending into personal attacks and juvenile name-calling. What Agnihotri is doing is ridiculous at the least, very dangerous at the worst. The five activists who have been arrested have been accused of being Maoist sympathisers. The police have claimed that these activists were “involved in recruitment and funding apart from promotion and planning Maoist activities, while the Maoist cadres fought in the red zones of the country.” In June, the police had claimed that it had recovered letters that spoke of plans to “exploit” the death of a person during the Bhima Koregaon violence, and even a plot to “assassinate” Prime Minister Narendra Modi. On Tuesday, after the activists were arrested, there were protests from various quarters, with many calling it an “unfair” and “undemocratic” crackdown. Both of these — the allegations against the activists and those being made on the police — are very serious charges. The last thing this issue needs is a stupid Twitter debate taking attention away from the matters being probed. Who exactly is Agnihotri to demand such a crowd-sourced list? Has the Indian government or the police asked him to help with the probe? He is free to dislike a certain brand of people, but can he link them, through the liberal use of some terms, to an ongoing official probe of a very serious nature? But also fairly questionable are the actions of the people who responded to him. When scores of journalists, authors, public personalities respond to provocateurs like Agnihotri, they legitimise their bizarre narratives. The only purpose the ongoing Twitter exercise will serve is to ensure the continued relevance of Agnihotri, long after his last movie has faded into oblivion. But then, the term would not gain such traction in the first place if influential voices did not pick it up and mainstream it. Also, Sinha is being very hopeful when he says “anti-national” has lost all its sting and potency, and people for whom the term is being used have nothing to fear. Several people have been arrested, and the police have said more raids could be conducted. The allegations made against these activists are serious. A Twitter din that takes focus away from the case itself and makes the debate about the “free speech champion/democracy warrior/committed nationalist” credentials of people safely removed from the issue at hand helps no cause, however earnest.